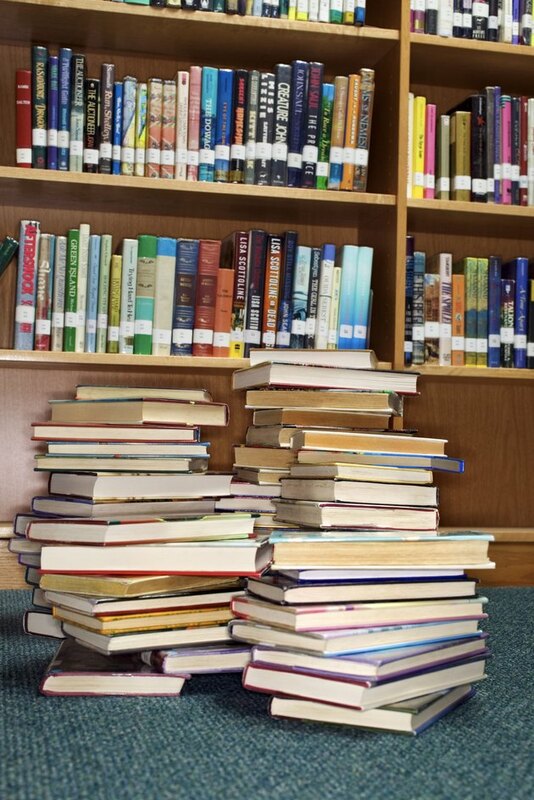 A bookshelf is a typical piece of furniture to find in an office, bedroom and even in a living room. Bookshelves, originally designed to hold books, also hold magazines, DVDs and other media. You can purchase a solid wood bookshelf made out of oak, cherry or maple or spend a bit less on flake board or plywood, but they are not as aesthetically appealing or sturdy. Purchase a bookshelf that is tall enough to meet your requirements without being excessive. A smaller bookshelf with only three or four shelves typically ranges from 27 to 36 inches tall. You can also use the top as another shelf or storage space. They can be freestanding or built directly into the wall or desk. A large book shelf with from five to seven shelves is typically from 60 to 84 inches high, meaning the top is often out of normal reach and is for displaying decorative material as opposed to items you need to access frequently. Bookshelves typically range from 9 to 12 inches deep to accommodate larger books, such as encyclopedias, dictionaries and textbooks. Bookshelves built into walls are typically not as deep due to space limitations. Individual shelf height is versatile in bookshelves, as many companies design adjustable shelves to move shelves further apart or closer together depending on your needs. A typical notebook requires 12 inches of space to fit straight standing, while basic books and magazines fit in a 9-inch space.